Red carpets are notorious for giving major props to designers before and after award shows, and things were no different last night at the 68th annual Primetime Emmy’s pre-show walk. Creating buzz-worthy fashion is, after all, what a lot of celebs are aiming to do, and when asked “who are you wearing?” it’s almost unheard of to name someone (or something) not quite so prolific in the fashion world. 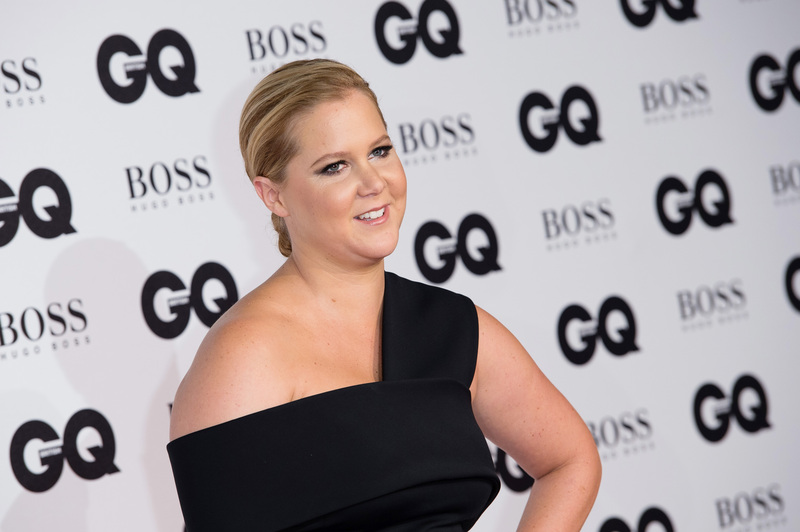 In Amy Schumer’s case, we got an answer totally on point with Amy’s sarcastic nature (which we love)! In an interview with E! host Giuliana Rancic, Schumer took it upon herself to credit everyone involved in her look (and we do mean everyone), giving a nod to her gorgeous Vivienne Westwood dress, Tom Ford shoes, and of course, her O.B. tampon because why not?! Just because we can’t see it, doesn’t mean it’s not there, so kudos to Amy for giving credit where credit is due! Rumored to have been bleeped just moments before the interview, Schumer took it upon herself to pose for the cameras while naming the tampon brand of choice very clearly, making her forever our hero. Afterall, it’s part of being a woman and nothing to be ashamed of. It’s long been debated whether the mere question of “who are you wearing” is a sexist inquiry as it’s mostly directed towards women. Even the New York Times Fashion section took to Twitter to capture the hilarious moment. Amy Schumer is wearing a Vivienne Westwood dress, Tom Ford shoes and an OB tampon. Needless to say, watching the comedian celebrate her brash answer to a somewhat shocked Rancic made our night SO much better! It didn’t take long for the pro host to eventually join in all tampon celebrations, which we also love! It’s obvious Schumer deserves all the accolades for rocking the red carpet in style, all while having the good sense to be herself, tampons and all!